It’s been eighteen months since the fire. Eighteen months since a deadly bushfire roared through Victoria’s Otway Ranges, and razed the picturesque little town of Myrtle to the ground. The fire claimed homes, shops, land, beloved pets and people on that awful December day, and by the time it had burned all the way through the town, only two solitary buildings were left standing in Myrtle. A year and a half on, the people of Myrtle are well on the way to restoring their town to its former glory. Shops and homes have been rebuilt, crops have been replanted, and playgrounds and primary schools have been reconstructed. Well-heeled government ministers attend the openings of new sports complexes and Men’s Sheds, and commend Myrtle’s recovery effort. The town is back on its feet and kicking goals, they say. But beneath all the shiny new Colourbond, beneath the gleaming timber and the pristine new play equipment, Myrtle’s heart remains fragile and scarred. The fire fractured relationships, decimated families and ruined livelihoods, and despite their best efforts, the people of Myrtle are struggling to move on; to return to life as it was before. One woman, however, is doing her best to pick up the pieces. 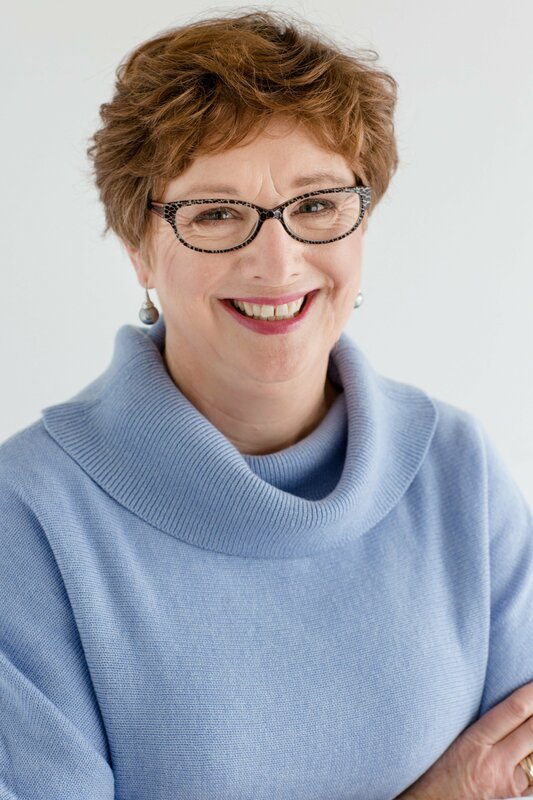 Julie Lang is a community stalwart, a mover and a shaker and the kind of woman people come to if they want to get things done. After yet another ministerial opening of a shiny but soulless new building, Julie decides it’s time to inject some heart back into Myrtle by starting a great big community craft group – and if all goes according to plan, the craft group will put Myrtle back on the tourist map, too. A force to be reckoned with, Julie soon persuades Myrtle locals Claire, Bec and Sophie to join her group. Claire leads a busy life as the only healthcare provider in town, and to add to her stress, she and her husband are clashing over the idea of starting a family. Bec’s life is complicated, too. Her husband was badly burnt during the fire, and he’s developed a volatile and unpredictable temper of which Bec bears the brunt. Then there’s Sophie, whose husband lost his job because of the fire and hasn’t been able to find work since. Sophie is supporting her young family alone, and it’s hard. As Julie’s craft group grows, Claire, Bec and Sophie grow closer, and begin to help each other rebuild and navigate their new lives, post-fire. But as they reveal their worries and fears to each other; as they share their dreams and their hopes for a better future, a shocking secret surfaces – one that will rock Myrtle to its very core, and change each woman’s life forever. 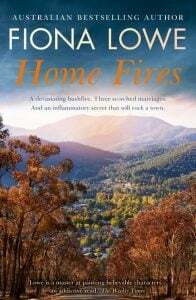 From beloved Australian author Fiona Lowe, Home Fires is a deeply moving tale of upheaval, trauma, loss and hope. Bushfires are a fact of life here in Australia: they’ve touched all of us, even if we haven’t been impacted first-hand, and we all remember the heartache we felt watching the news about the Black Saturday fires in Victoria. Home Fires not only reflects our own sad memories, but takes us deep into the experience long after the film crews have left, reminding us, as someone else said, that it’s not just what fires take away, it’s what they leave behind. Lowe breathes real life into her characters, with each of the four women so familiar and real, they could be members of your own family. The plot swings like a pendulum between past and present, letting us peek into the lives of each of them before the fire, then pulling us back to the present as we witness their everyday struggles to cope with life in the aftermath of such a huge tragedy. While the individual, personal stories unfold, so do the unique dynamics of small-town communities, and Myrtle is as much a character in the story as the four women at the centre of it. The Australian bushland setting is lovingly illustrated, too. Issues such as family violence, marriage breakdown and PTSD inject a layer of gravitas. Ultimately though, Home Fires is a profoundly hopeful tale, one of re-generation, of the strength gained from women supporting women, and of a community pulling together, one that acts as a powerful reminder of the resilience of the human spirit. 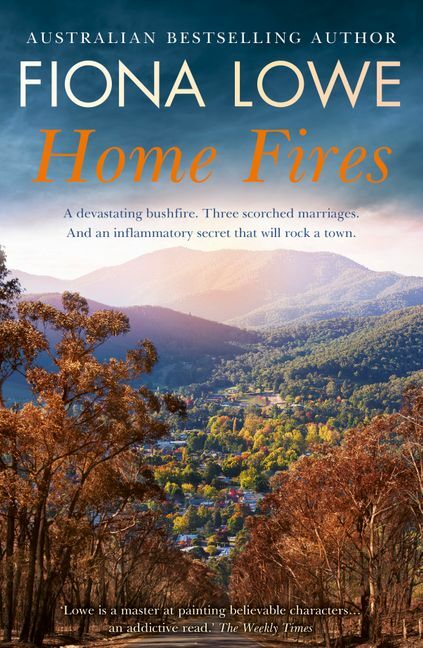 Fans of Rachael Johns, Judy Nunn and Fiona McCallum will love this book, as will anyone who enjoys a deeply Australian story that brilliantly captures our own life and times. I read Fiona’s “HOME FIRES” . I Laughed , worried, felt the fear , held my breath & cried bucket loads. Fiona you are a very remarkable author and should be so very proud of yourself . I recommend ” HOME FIRES” to everyone . Its so very, very, special.